In September 2017, Zohra Drif Bitat, 82, a Marxist and former member of Algerian resistance National Liberation Front (NFL) and one of the key heroine of the 1957 Battle of Algiers was in United States for speaking tour of her recent memoir, Inside the Battle of Algiers: Memoir of a Woman Freedom Fighter, in French. Andrew Farrand, director World Learning Algeria, has translated the memoir in English. Her 15-day tour was sponsored by the Just World Education. Dr. Vacy Vlazna, an Australian human rights activist and coordinator of Justice for Palestine Matters, in the book review claims that Palestinian resistance groups fighting Jew occupation of their ancestral homeland can learn a lot from Zohra Drif’s memoir. She rightfully claims that to achieve victory against occupation forces, resistance groups must create united leadership – from Palestine, Kashmir, Chechnya to Philippines – as the Algerians did. “A key element to that success was the understanding that it was necessary to put other differences aside, whether ideological, geographical, or even religious differences. If you were part of the Algerian people, you should all unite with one objective and not let other matters divide you. That might inspire other struggles elsewhere to get it right,” she said. Hélène Cixous, French professor, feminist writer, poet, playwright and philosopher paid high tributes to Zohra in 2003. 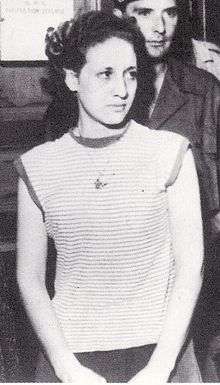 Zohra Drif, who was declared a “terrorist” by the French colonial authority, was captured and sentenced to 20-year in jail. After Algeria’s independence in 1962, she was elected to the parliament and later served the country as Senator for 20 years. As French occupation of Algeria for 120 years didn’t break the will of Algerian Muslim. Israeli Jews will become even more violent with the passage of time but the Palestinian Islamists will not give in. They will keep fighting back, using whatever means they can. In some way, Palestinian are in better position than Algerian. They have active support from Iran, Hizbullah and Venezuela and recognition of an independent Palestinian state over pre-1967 borders by 137 UN member countries. Israel collaborated with France during Algeria’s war of liberation (1954-1962) and voted against Algeria’s membership in the UN. Algerian president Abdelaziz Bouteflika met Zionist prime minister Gen. Ehud Barak at King Hassan II’s funeral in Morocco on July 25, 1999. Both discussed Algeria-Israel relations. Jewish communities have been living in Oran and other cities since late 14th century. After the independence, a great majority of 140,000 Algerian Jews immigrated to France. After the creation of the Zionist entity in 1948, the remaining Jews migrated to Israel. Currently, there are 400 Jewish families living in Algeria. The Algerian taxpayers maintains country’s 25 synagogues. In December 2013, former French president Francois Hollande (Jew) had claimed that Algeria is not safe for Jews.